Nicky Epstein's Fabulous Felted Bags book is on sale! Was $22.95! Now only $11! 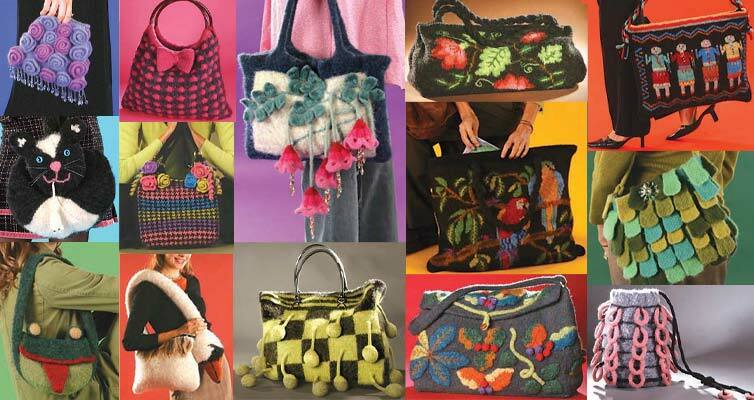 This magnificent collection of bags makes full use of Nicky's amazing repetoire of knitting knowledge and versatile creativity. In all shapes and sizes, running the gamut from whimsical to elegant, these bags are both delightful to look at and amazingly practical to carry. You may download the errata for this book (as of 2/17/07) by clicking here. Click to search for available Yarn Pacs for this book!